Barclaycard is ending its trial of payment wristband bPay by replacing it with a more permanent version. The trial wristband will be replaced by a lighter and slimmer version, with an updated online service and mobile app, which can be used to load cash to the band. Barclaycard is offering all 10,000 registered users a free upgrade before the new wristband is launched. Barclaycard launched a scheme testing the data collection capabilities of bPay in August 2014, using the bands not only for payments but also for customer relationship management. The firm then partnered with Transport for London to allow consumers to use its bPay contactless payment band on the tube to avoid card clash after the London Underground began accepting contactless payments. 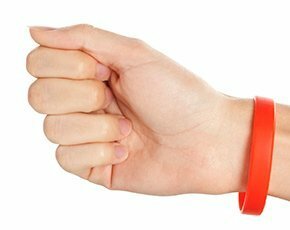 Financial services firms are leading the way with wearable technology as consumers and business clients seek new ways of using their services. Tesco Bank recently made it possible for customers to view their account balance on an Apple Watch. Other financial services firms offering smartwatch functionality include Nationwide Building Society, US bank Citi and Allied Irish Bank (AIB). Nationwide customers can check their bank balance on a smartwatch if they have already downloaded the building society’s mobile banking app. The firm partnered with IBM to develop a system to allow Android Wear users to perform banking tasks on their wearable devices. The smartwatch will connect to the mobile banking app to provide users with real-time updates of their balance. US bank Citi enables customers to check balances, provide notifications and give more detailed information about payments using Apple Watch. Allied Irish Bank is developing an app which will allow customers to check their balance, find cash machines and call AIB via the smartwatch. There was a time, very, very recently, when travel of any sort - like from the house to the office - took a wallet full of cash for business plus a pocket full of change for errant tolls or meters. Now, unless I'm heading somewhere really far off the beaten path, I never carry money. Even loose change has been replaced by smart meters and toll readers that scan license plates at highway speeds and reply with updated bills. Credit cards are so yesterday...? Ha, ha and a hearty LOL. I've already begun to shift suppliers to a phone app. And even managed to pay a bill or two that way. No comes wrist bands and iPhones and wearables that can do it all simply by being there. Is Barclaycard the Next Big Thing. Or will it be wearables of unimaginable sorts? Whatever the specifics, tomorrow's technology will likely bypass all these interim steps and head into new unimaginable territory. Personally, I'd vote that the future is lined with new territory. Mostly because I don't know enough to pick the current winner. But I do know enough to know that finances are changing rapidly - wallets filled with credit cards and tucked into your pants are yesterday's news.